Are you looking for a way to lighten up your dinners? 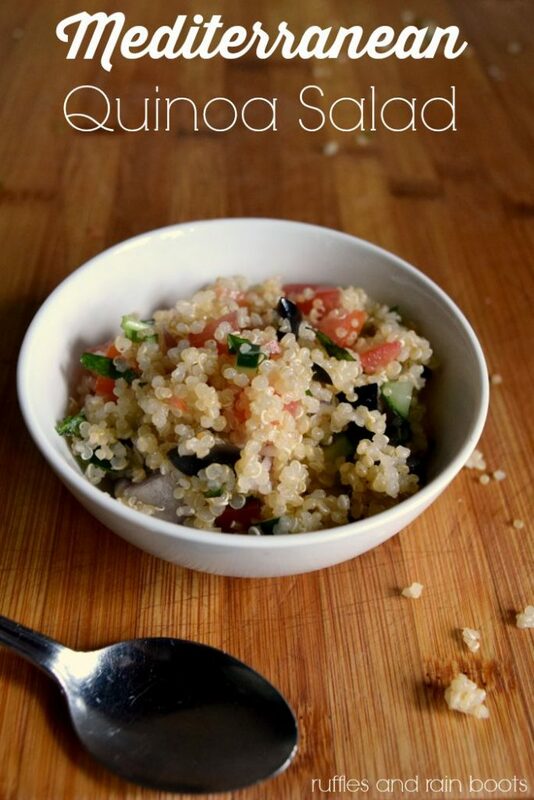 This quick, healthy, and gluten free Mediterranean quinoa salad will satisfy even the heartiest appetites without weighing anyone down! What’s the Big Deal with Quinoa? Did you know that quinoa is considered one of the very few plant foods that is considered a source of complete protein? Oh yes, my friends: protein. So when your child is boycotting every form of meat, dairy, and well, everything that isn’t macaroni, it’s something that will provide nutrition. it is a naturally gluten-free whole grain, higher in antioxidants that other types of gluten free grains and contains iron. it was proposed by NASA as a ideal food for long space flights. ‘Cuz the organic police might be reading, we use organic ingredients but please use what is available to you – any veggies are good veggies! The addition of this nutritious grain will benefit any diet, organic or not. Why is grains in italics, you might wonder? It’s because quinoa isn’t actually a grain at all – it’s a psuedo-cereal but is considered to be a grain because of its nutritional values. Do you totally feel smarter today? I do. Now let’s fill those smart bellies. Rinse and cook the quinoa, adding the salt to the water. Allow it to cool (you can put it in the refrigerator while you chop the vegetables). Note: if you like to use the microwave (to put this into your tummy faster), these are the tried-and-true steps to cooking quinoa in the microwave. 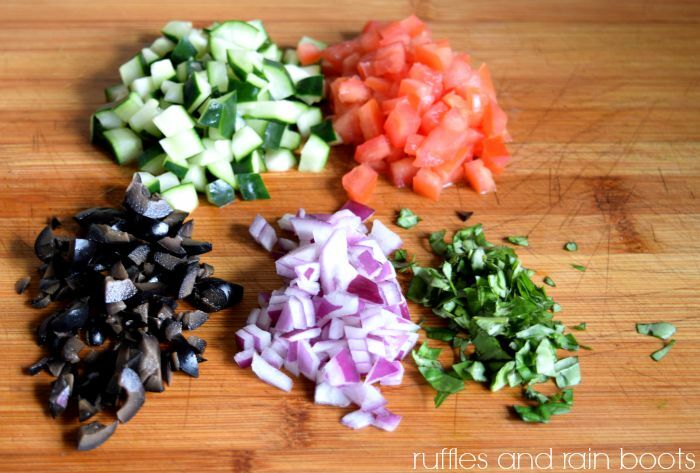 Add the tomato, cucumber, olives, cheese, purple onion, basil, and garlic to the cooked quinoa. Add the olive oil to (more to taste, if preferred). Serve chilled. Because we’re huge fans of snacking on them, bell peppers are not added to this recipe but they do make a great addition. Red, orange, and yellow bell peppers help to make this a colorful, appetizing addition to any dinner plate. The bright colors look great in this dish when delivered to a potluck or family reunion! Avocados are also quite the nutritious addition to this Mediterranean salad. The 3 year old picks them out and always eats those first! 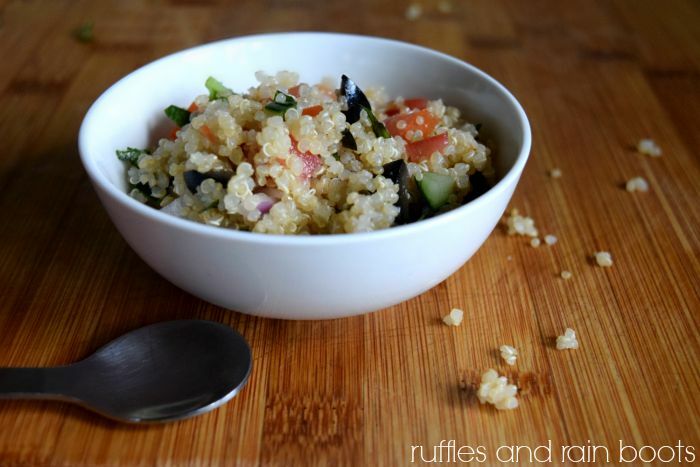 Before I gave up dairy, feta cheese was a wonderful addition to this quinoa salad. Everyone in our family just loves feta, so I parse out some for me and then add it. Does your family love feta? It has such a distinct flavor, I’m sure people either love it or don’t. Update: I made this today using farro (purchased from Trader Joe’s) and it was just as good (if not a little better) than using the quinoa. 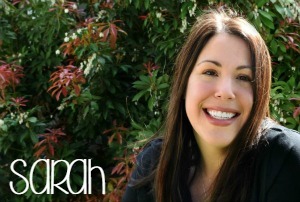 Our daughter really loves farro, so if your child isn’t keen on quinoa, give it a try. 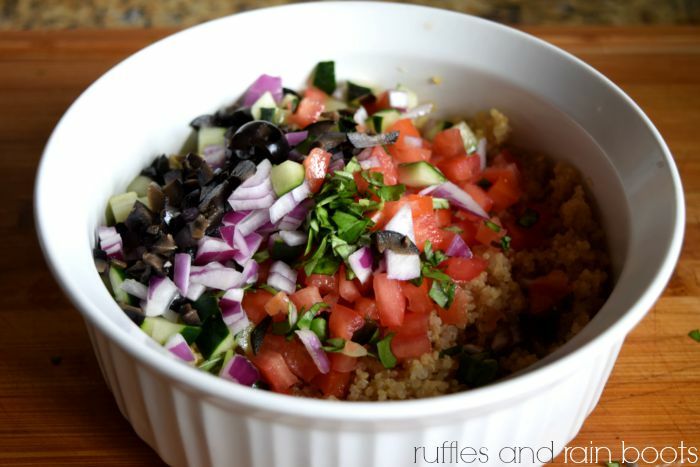 I hope this Mediterranean Quinoa Salad helped to give you some inspiration for a meatless Monday or even just as a side salad. If you liked it, would you please consider pinning it to your favorite recipes board on Pinterest? I just love Pinterest – are we friends there? Oh my, this just looks and sounds absolutely FANTASTIC! I do love Feta but because of my daughter’s dairy allergy, I rarely have it anymore. I’ve scheduled this to my Deliberate FOOD board. Thank you so much for pinning to your food board, Jennifer. I haven’t read an update about your daughter’s allergy testing in a while – I hope she is doing okay!